Men never get breast cancer, right? Wrong. Men not only get breast cancer, but, when they do, they are more likely to die from it than women are. The reason for the difference in mortality rate is largely because of the stigma that men feel about being diagnosed with a disease that is seen to be only for women. Cancer, of any kind, can be life-threatening, but, no matter who it strikes, one of the key factors in survival rates is early detection. The more advanced the disease is, the greater the odds against beating it. Men rarely pay attention unless there is a noticeably large lump. Unfortunately, by this time, it is more than likely to already be growing and possibly spreading. The embarrassment of having a “woman’s disease” aside, there is far less attention paid to breast cancer in men. 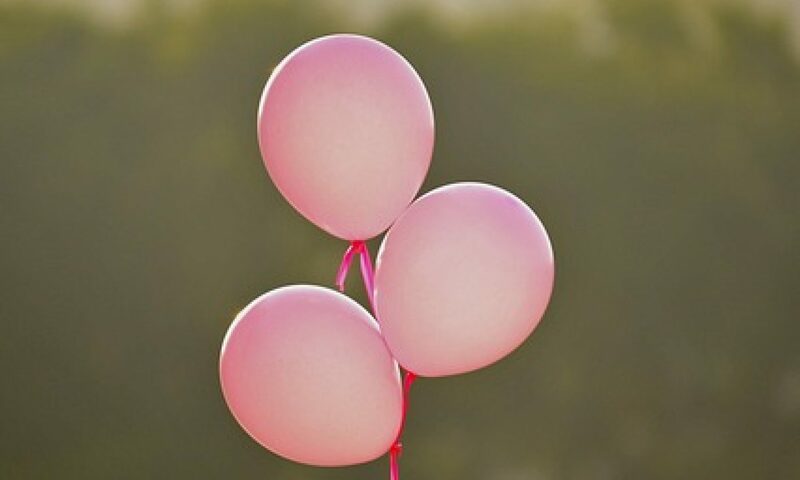 There is a reason that all of the awareness campaigns are in pink: roughly, the odds of breast cancer for women are 1 in 8, while for men, they are 1 in 1,000. Once diagnosed, the treatment and prognosis for men and women are basically the same. Bringing medical attention to breast cancer in men would increase early detection and save lives. By some estimates, there is a gap of more than a year and a half between when the first symptom appears and diagnosis for men. That is simply too long. Happy 40th birthday! The big 4-0 is a big milestone to reach, and you should be proud of yourself. But 40 is also an important time in your life in regard to medical checkups, especially for mammograms. Some of you may be wondering how mammograms came about and what improvements have been made to them over the years. In the 1960s, radiologists performed mammography exams using general purpose X-ray tubes, without compression. They captured the imaging onto direct-exposure films, similar to chest X-rays. These were low-contrast images and the area of tissue close to the chest wall appeared “white” due to underexposure. A decade later, mammography advanced significantly with the introduction of screen-film mammography, which made imaging faster, required lower radiation dose, and provided greater contrast, making it easier to “see through” breast tissues. Improvements in screen-film technology and the establishment of dedicated mammography units during the 1980s and 1990s improved mammography even more. As the technology improved, mammography screenings became more common due to two factors. First, the results of multiple randomized and controlled trials demonstrated the effectiveness of mammographies in lowering breast cancer mortality rates. Second, the development of effective pre-operative image-guided wire localization techniques made it easier to make tissue diagnosis for suspicious lesions detected by mammograms. The 90’s saw an uptick in mammography use, resulting in an increase in mammography regulations as well. As the exam became widely used and breast cancer received more publicity, concerns about mammography quality grew. After uncovering various quality issues, a series of Congressional hearings were dedicated to mammography, leading to the Mammography Quality Standards Act of 1992, forcing uniform standards nationwide, affecting the quality of breast imaging as well as the standards that radiologists must comply with. Around 2000, breast imaging experienced another significant advancement with the introduction of digital mammography. While digital mammography procedures are essentially the same as X-ray mammographies from the patient’s point of view, the new digital mammography machines produce images that can be read on computers rather than X-ray film, which has improved oncologist’s ability to identify symptoms, give diagnoses, and treat their patients. As expected, most radiology practices in the U.S. now use digital mammography rather than analog film, as it provides better images with improved tissue contrast. This is important for patients with dense breast tissue, especially younger patients, who tend to have denser breasts than older patients. Digital mammography is also beneficial compared to more traditional mammographies as the patient receives less radiation exposure. Moving forward, digital breast tomosynthesis (DBT) is an emerging technology that captures multiple low-dose mammographic images of the breasts. DBT has been shown to reduce false-positives and improve detection of invasive cancers. Hence, DBT has been called “a better mammogram” and will likely become the standard for mammographic screening. Mammography has come a long way from its humble beginnings of direct-exposure films. Breast imaging radiologists now have more tools in their arsenal than ever before. As additional technological innovations are achieved, mammography is expected to remain a critical part of early detection efforts. Early detection remains critical to reducing mortality. Mammography remains the most effective and cost-effective tool for detecting breast cancer and we recommend annual mammography screening beginning at age 40.